Amy L. Woldt, aka Susie, 85, of Sturgeon Bay, passed away at home, Monday afternoon, August 27, 2018 with family at her side. 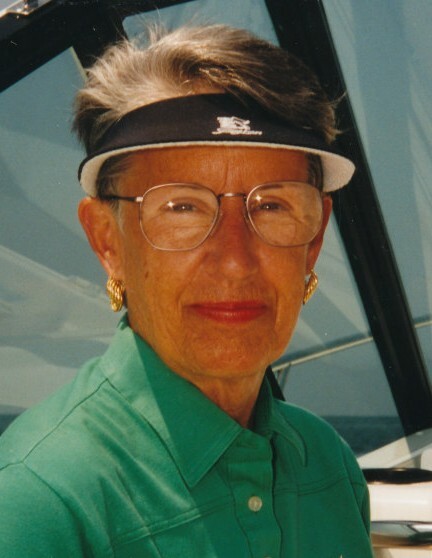 She was born February 27, 1933 in Green Bay, the daughter of the late Walter and Amy (Buhl) Neufeld. Susie graduated from Green Bay West High School in 1951 before attending Stevens College for two years. On March 12, 1955, she married Lawrence R. Woldt in Baltimore, MD. They shared over 41 years of marriage. Larry passed away May 1, 1996. Susie was an accomplished artist who enjoyed painting, raising butterflies, and especially taking care of her family and home. She will be deeply missed by her two daughters, Wendy Woldt of Sturgeon Bay and Christine (Mike) Manno of Brussels; two sons, Steven (Susan) Woldt and Charles (Janel) Woldt, both of Sturgeon Bay; four grandchildren, Kolby and Kendall, and Lawrence and Blaze; sister, Lu Ann (Lt. Col. [Ret.] James) Fox of Sturgeon Bay; brother, Walter (Barbra) Neufeld of De Pere; step-brother, Patrick Johns of Milwaukee; step-sister, Patricia Johns of Florida; and the entire Woldt family who meant so much to her. Susie was preceded in death by her parents; husband, Larry; and step-parents, Marjorie Neufeld and Maj. Gen. Autrey Maroun. Private family services will be held. Burial will be in Clay Banks Cemetery, beside her husband, Larry. Memorials may be given in Susie’s memory to the Cure Alzheimer’s Fund, 34 Washington Street, Suite 200, Wellesley Hills, MA 02481 or www.curealz.org. Huehns Funeral Home & Cremation Services is assisting the Woldt family. Expressions of sympathy, memories, and photos of Susie may be shared with her family through her tribute page at www.huehnsfuneralhome.com.